When it came to my Christmas decorating this year, I decided to scale it back and keep it at simple as possible. Today I am sharing four simple ways to cozy up your home for Christmas without going to too much hassle. 1. MIX LIVE GREENERY IN WITH THE FAKE STUFF. 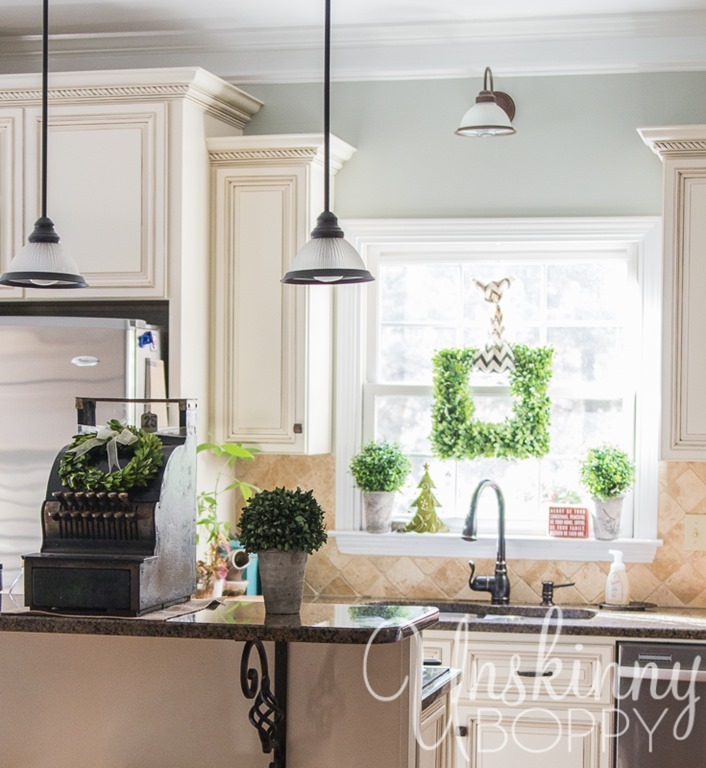 For the past few years, I have been decking my halls with live greenery from top to bottom. From fresh wreaths to staircase railing dripping in Leland Cypress, it was an all out green-o-rama up in here. This Christmas, though, I decided to give my evergreens a little break, and just take a few clippings from my trees. It also reduces the amount of time I spent not only decorating for Christmas but also cleaning it all up! You might call this taking the easy way out, but I call it saving my sanity. 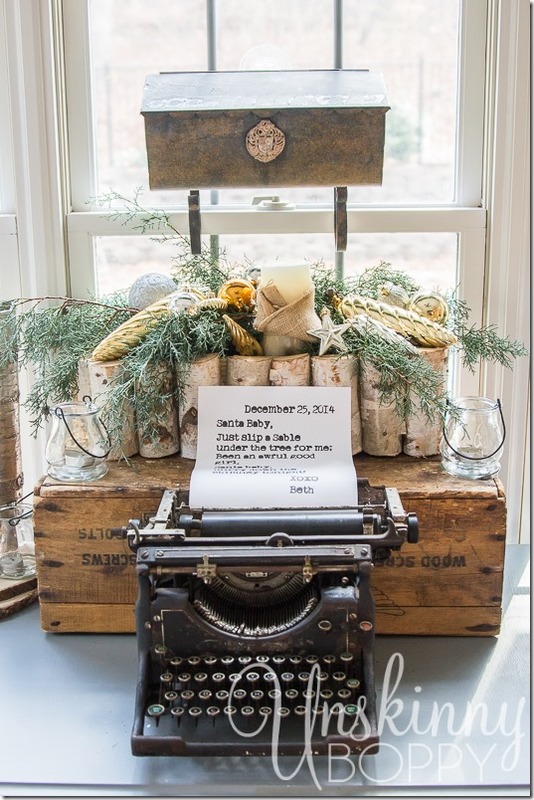 Here is what I love doing though—I love mixing a little bit of live greenery in with my fake stuff. Just cut a few evergreen branches and lay them into your decorating. Pile some ornaments on top, and you’ve added a little touch of holiday cheer without breaking your back or your Christmas spirit. In the majority of my house this year, I am 100% fake or preserved greenery. See what I’m talking bout?? Not a fresh bough in site, but still super festive up in here! One new addition to my decor this year is this STUNNING olive branch wreath from Birch Lane. I have fallen in love with all things olive branch, so this was a must- have for me this year. I will be using this one all year long. 2. PUT A WREATH ON IT. EVERY thing looks instantly more cozy and Christmas-y with a wreath on it. Nothing is safe from getting wreathed in my house, even my lamps. I’m swooning with love for the shape of this lamp! This next tip might be a no-brainer, but I’ll go ahead and say it anyway. 3. 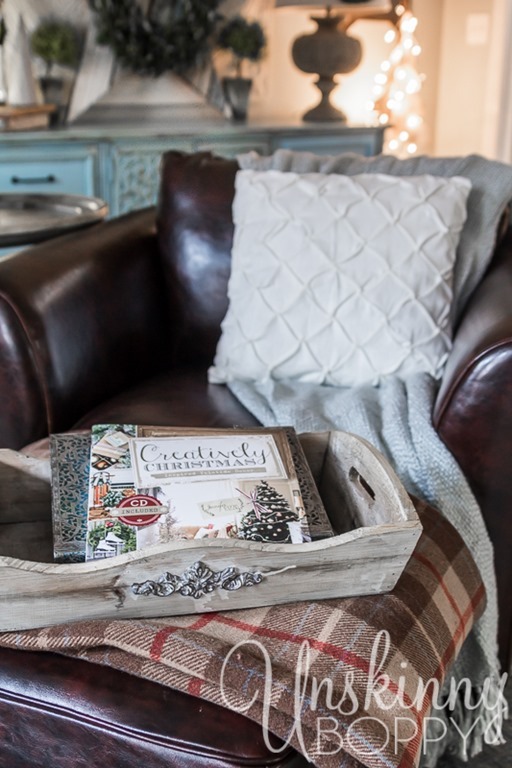 ADD A WARM AND COZY THROW (OR TWELVE) TO YOUR FURNITURE. There is nothing quite like snuggling up under a soft, fuzzy throw and just vegging out with your kids on the couch. We are big fans of snuggly blankets around this joint, so I have them tossed over every piece of furniture in my living room. Our favorites are chenille throws and anything resembling a cable-knit sweater. A pretty white pillow cover doesn’t hurt, either. 4. 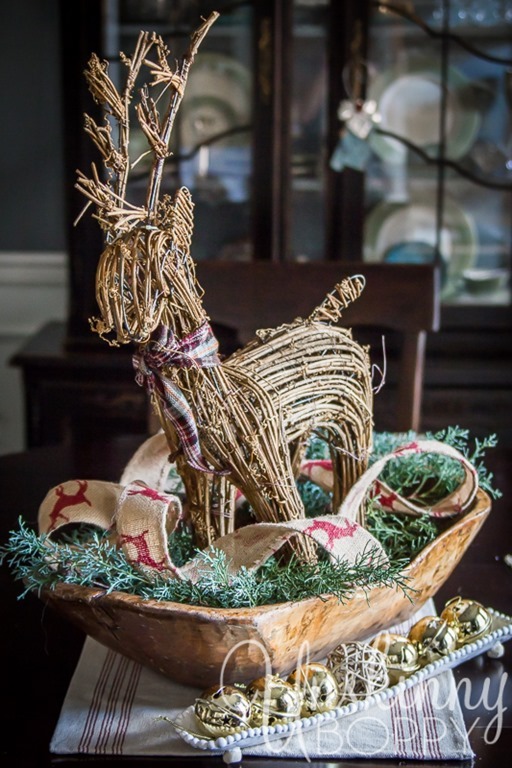 USE A UNIQUE BASKET INSTEAD OF A TREE SKIRT. 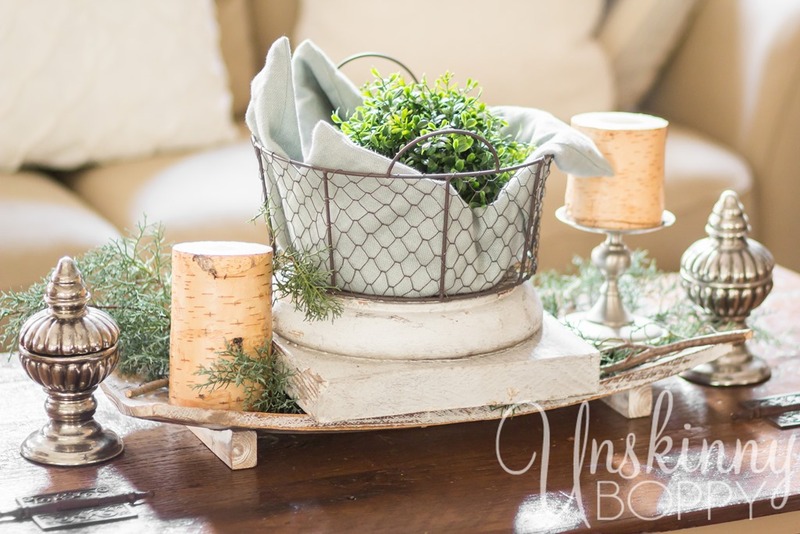 I found this big metal/ burlap basket at TJ Maxx last year, and it’s been a huge hit with my Christmas tree. I LOVE how clean it looks underneath the tree by putting the base inside a basket. It’s also a great way to make a fake tree look real. People will never know you’re not hiding a tree stand and a pan of water underneath there! 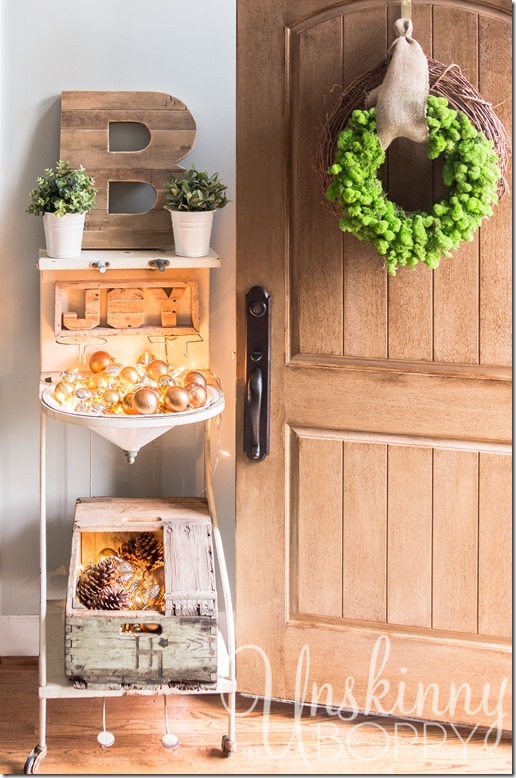 And finally, the last quick tip for cozying up your Christmas home? So, if all else fails and you are in a huge rush to decorate your house without seconds to spare, just toss some ornaments and a string of lights into a container and call it a day. 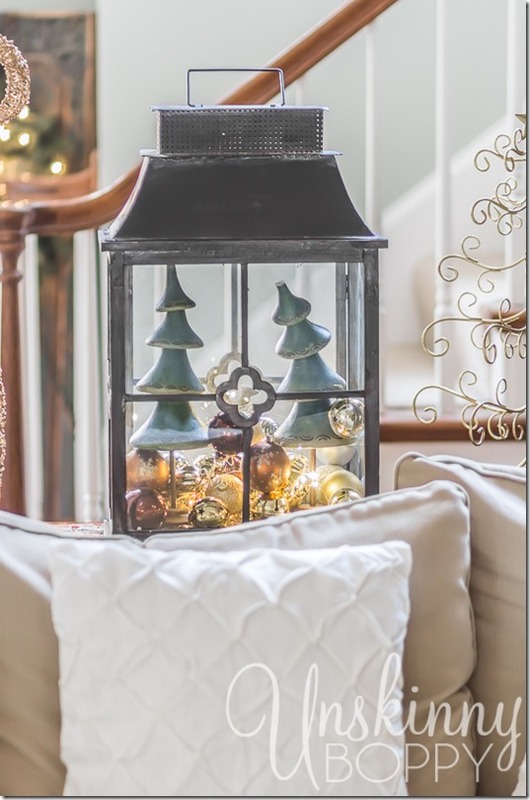 This is the quickest and easiest way I know to add some Christmas spirit to your home. 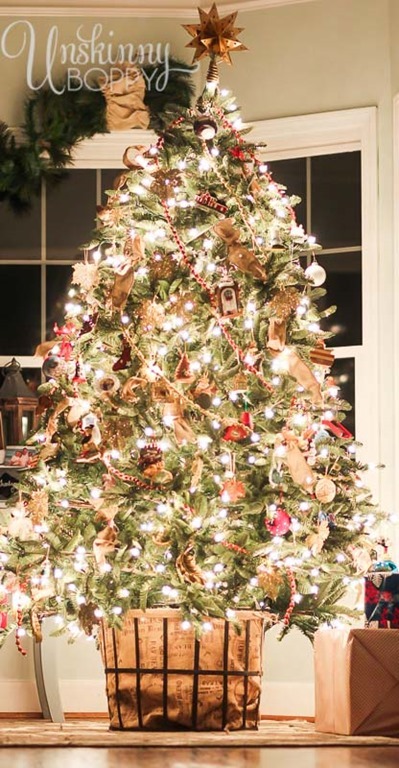 That magical combo of ornaments/ lights is my sure-fire way to get festive fast! I use this trick on everything, as you can see over here in this post. I hope y’all enjoyed taking another tour of my holiday home this year. 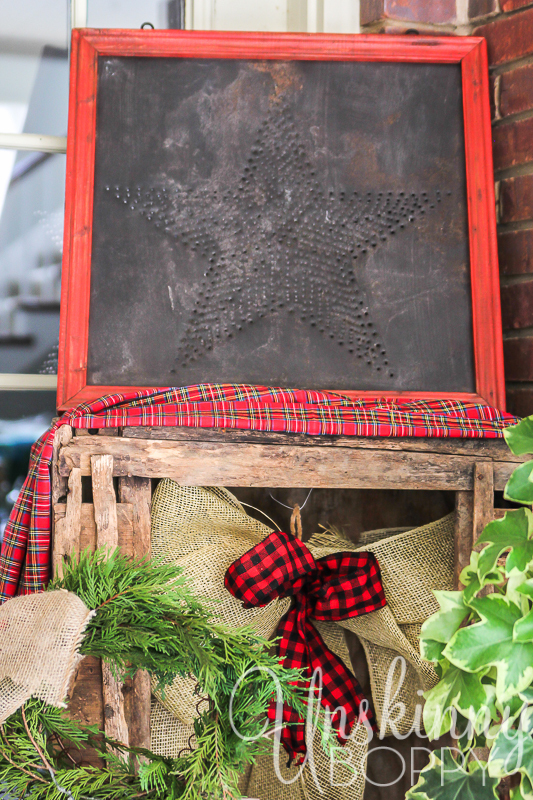 Please come back later in the week when I’ll be sharing my Christmas porch decorating ideas! In the mean time, here is a sneak peek…. If you need a BUNCH more great Christmas decorating ideas ( I mean seriously, who doesn’t?) 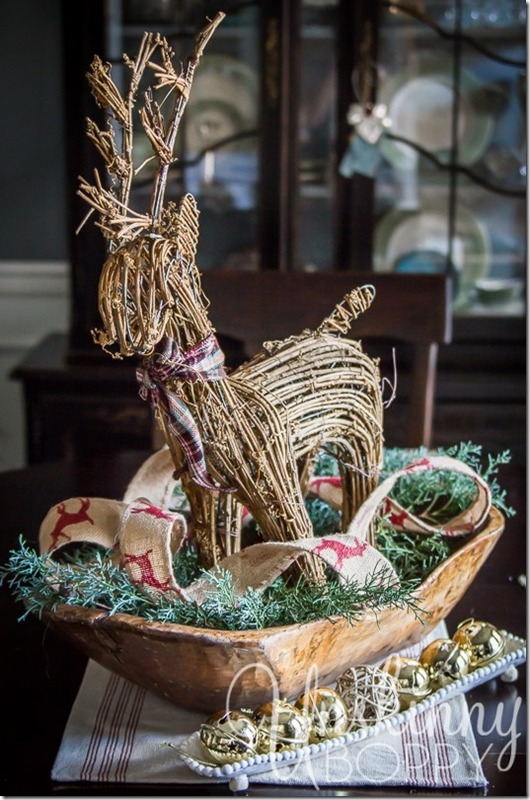 then please take some time to visit and PIN the pictures from my tour and my friends Christmas Home Tours this week! We appreciate you reading and pinning our stuff! 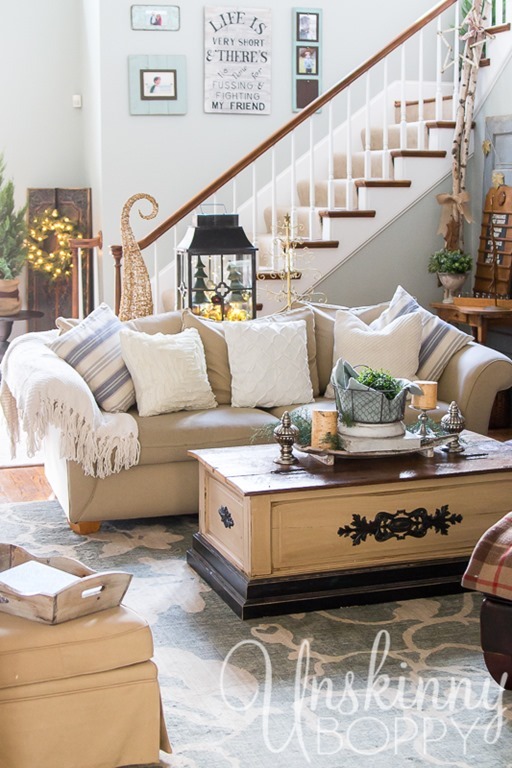 This post was sponsored by Birch Lane. All opinions are my own. SO GLAD TO HAVE YOU AS PART OF THIS TOUR!!! THANK YOU for having me on your tour!! It’s been so beautiful seeing all these homes today, can’t wait to see the rest of the week! Thanks for all your hard work, Jen! 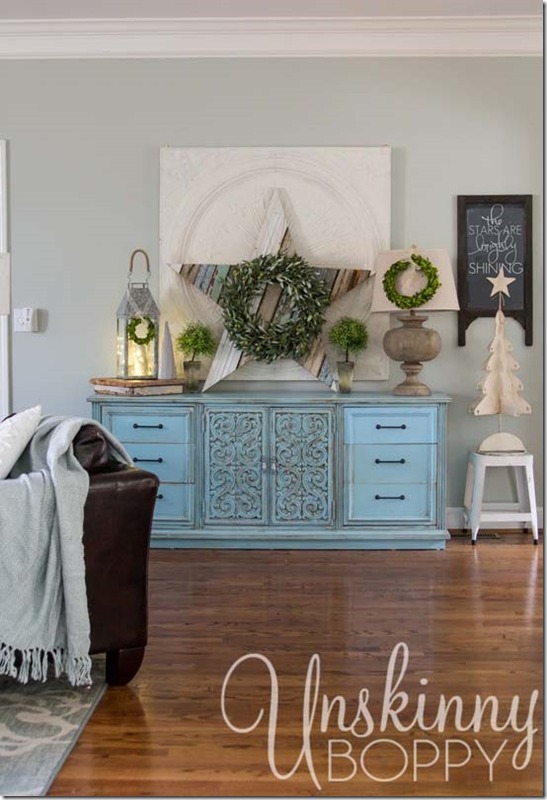 Great tips, I love how you lit the ornaments, so pretty. Thanks Heather!! And I mean really, who doesn’t love a chenille/cableknit throw? Love it all!! Was wondering where you found the “Life us very Short…”. artwork in the stairway? 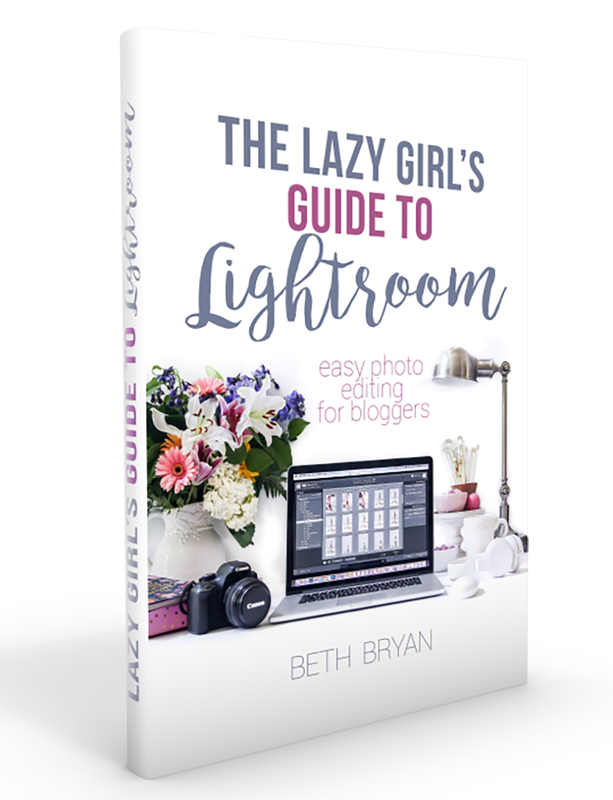 LOVE your tips, Beth! And I think I need that olive wreath… my last name is Paxton, after all. 😉 Thank you so much for sharing! Thanks Rach! 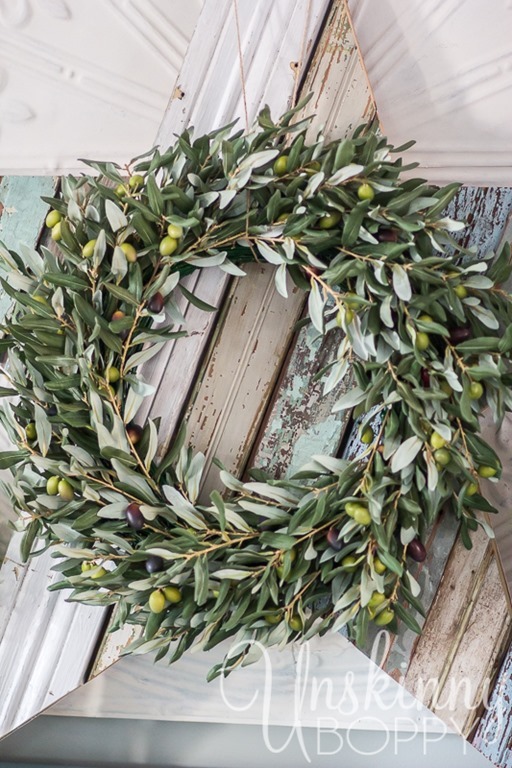 Olive wreaths are calling my NAME lately! Happy to be joining you on this tour today! Awww Shannon, thanks so much sweet lady! Hope you have a very merry Christmas at your house! These are such great tips, Beth! I feel completely inspired. Your home looks so lovely and festive! Can’t wait to see what you do outdoors! Love your site. Looking forward to receiving future posts! What a beautiful home you have, Beth! 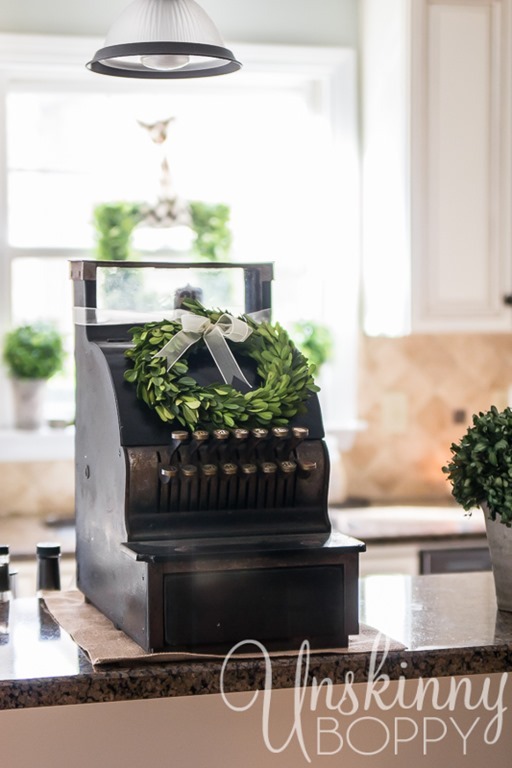 I agree 100%… put a wreath on everything! That’s my motto anyway. 🙂 Thank you so much for sharing your holiday home with us! Everything is so beautiful!! I love it “put a wreath” on it! Love everything! I’m a huge fan of yours and am glad I found you on Pinterest this summer. We have similar tastes, especially in paint colors! I love your Christmas decorations. 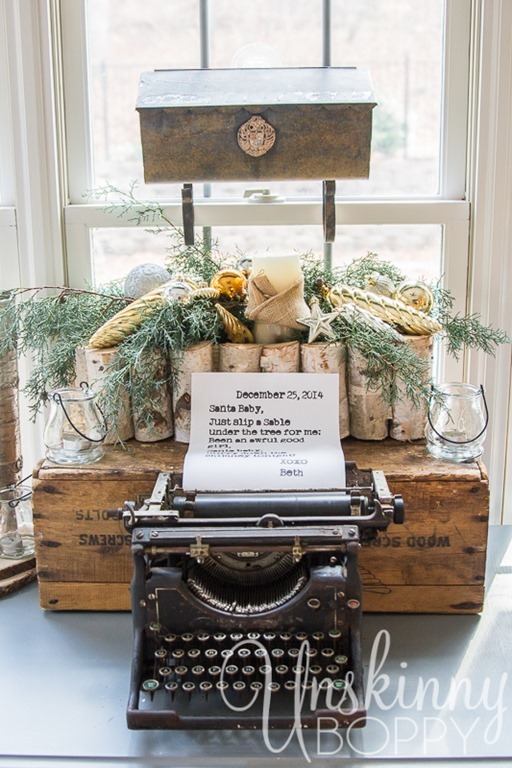 Where did you find your small green wreaths that you have on the antique register and your lamp shades? They’re beautiful! 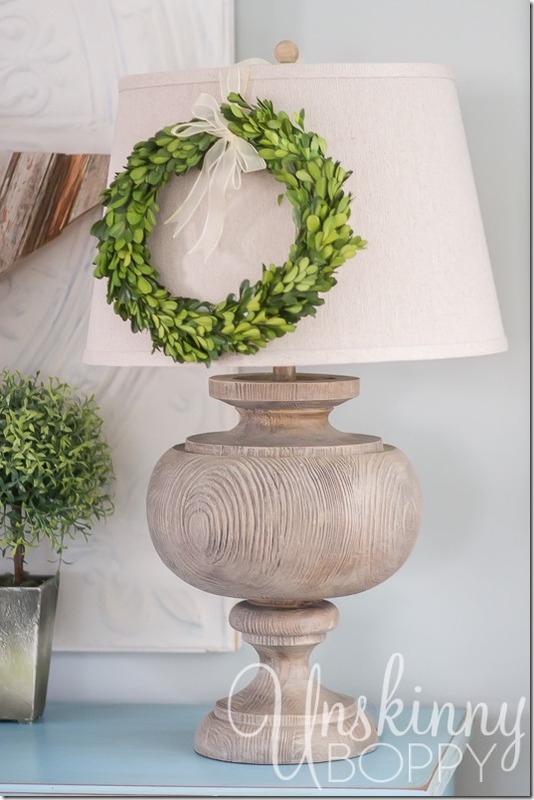 Love the wreath over the lampshade- that is genius! 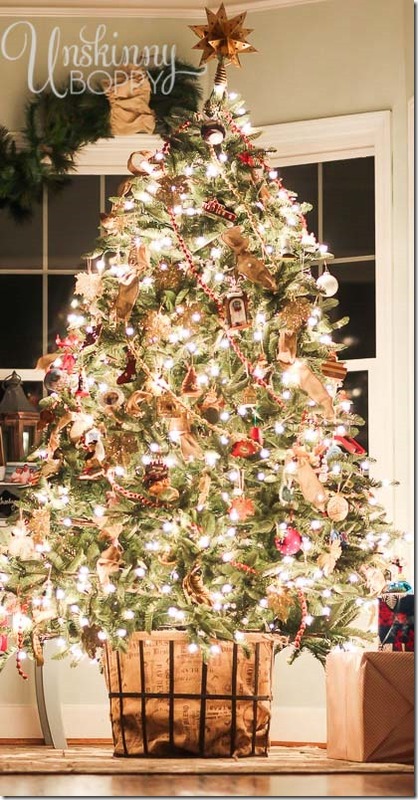 And your Christmas tree is stunning – of course I would expect nothing less since you are the queen of Christmas tree pictures! Merry Christmas, Beth!